The Nvidia GeForce GTX 1660 Ti GPU rolled into town late last week. 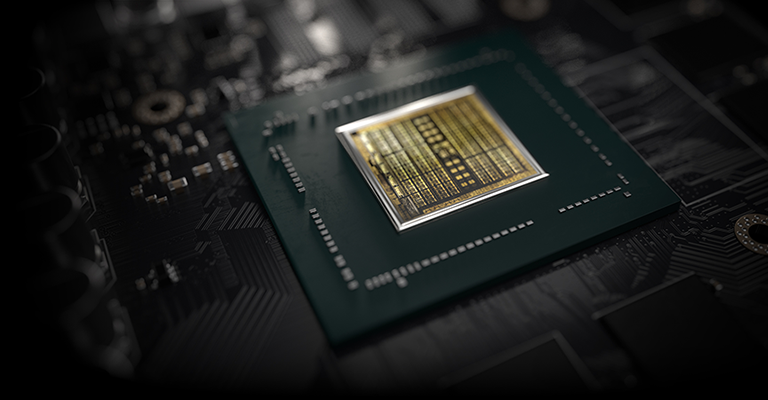 It's an important launch in many ways because it represents the first card on the new Turing architecture to do without the ray tracing and image enhancement goodies found on the RTX line. Nvidia wants to position it as a price-to-performance champ, citing the $279 (£259) price point as a key attribute. Trouble is, we reckon that pricing is too high given that GeForce RTX 2060 starts at £310 and offers a leading game in the package. Looking toward the red team, the Radeon RX Vega 56 can be had for similar money to the GTX 1660 Ti, plus beats it in sheer performance and offers three games to boot. Bottom line is that GTX 1660 Ti is a good card albeit at the wrong price point. Whether you are a fan or not, GTX 16-series is here to stay, and we are likely to see GTX 1660 and GTX 1650 both make debut in the next two months, thus helping bring Turing to the real meat of the gaming market. We always find it instructive to see how one generation of GPU performs against older iterations. Such analysis shows how successive architectures deal with the growing complexity of games engines. Rather more handily, this comparison enables users of older cards to understand and quantify how much extra performance they are likely to receive by upgrading one they installed three or four years ago. In this article we examine the performance benefits of jumping up the Nvidia architecture pack whilst not dialling up the power. Keeping things simple, we have a GeForce GTX 960 2GB (Maxwell), GeForce GTX 1060 6GB (Pascal) and, of course, GeForce GTX 1660 Ti (Turing), all said to be consuming a maximum TDP of 120W, examined over a wider breadth of games than in the original review. The purpose is to educate the reader into making informed choices if going down the green route. Is such a comparison even valid and useful, you might ask? Nvidia's own data suggest that the desktop GeForce install base is still heavily skewed towards older cards. Almost 70 per cent of GeForces are from the GTX 960 series or older. It's clear that gamers are upgrading far less frequently, but there comes a time when the existing card simply cannot cut the performance mustard in newer titles run at beautiful image-quality settings. GeForce GTX 960, as we will show, is such a card. Let's roll out each GPU's vital specs and give them a quick once-over. Launch price, quoted in US dollars, does highlight the comparison is not perfectly valid. Even if we take inflation into account, having linear prices would mean the GTX 1060 have cost about the same as GTX 960 - it came soon after - and the GTX 1660 Ti about $220. That clearly is not the case here, yet the suggested MSRPs are not a million miles off. It's clear that Nvidia was really on its game in the interim time between GTX 960 and GTX 1060. Sure, the new GPU cost 25 per cent more, though in just 18 months the GFLOPS throughput went up by 60 per cent and memory bandwidth by 71 per cent, all without increasing the power budget. What's more, the architecture refinements between Pascal and Maxwell lead to even more performance than the table suggests. GeForce GTX 1060 was a killer midrange gaming GPU for mid-2016: a real price-to-performance champ. It has taken much longer to bring the GTX 1660 Ti to the table. A combination of the energy-efficient Turing architecture and 12nm process gives the new GPU an expected performance uplift whilst keeping to the same board power as the other two cards. This time around, from a pure numbers' perspective, throughput and bandwidth go up by 41 per cent and 50 per cent, respectively. Conveniently ignoring architecture, Nvidia has achieved less of an improvement in 31 months than it did in the previous 19. We believe this trend will continue in the future, where manifest changes in microarchitecture will outweigh speeds and feeds. GPUs will get better, albeit more slowly than we have been used to in the previous 10 years. Knowing what we do about underlying Turing architecture, which is smart and efficient, we still feel as if GTX 1660 Ti offers too little of an upgrade over GTX 1060 once the 31-month introduction lag is factored into the equation. The legion of GTX 1060 owners may well look at GTX 1660 Ti and be unperturbed, especially as it doesn't feature the RT and Tensor cores that could, potentially, be a deal-maker for the slightly dearer GeForce RTX 2060. The real question, really, is whether GTX 1660 Ti offers the massive framerate and smoothness boost to users still hanging on to the GTX 960, or similar, GPUs, so let's find out just how it shakes out across 10 applications.